Most homeowners put their homes on the market with the hope or expectation that it will sell quickly. Just how fast your home will sell will depend on several factors, including what you do to prepare your home for the market, how your home is priced, and what is done to market your home to buyers. And as a general rule, homes that sell fast typically sell for a higher percentage of list price. This is because buyers usually make higher offers when homes are new to the market, and also because the home isn’t listed long enough for price reductions to be necessary. This article is an introduction to what you should consider before selling your home, what to look for in a listing agent, what steps to take to sell your home fast, and what to expect once your property is on the market. Should You Hire a Listing Agent? The first question when selling real estate is whether or not you will hire a listing agent or sell by owner. Your home is likely the largest investment you will make in your lifetime. When done right, selling your home can actually be an enjoyable process. But selling your home can also be complicated, stressful, and time-consuming. Even a small mistake can cost thousands of dollars in lost equity. So it’s important that you have an experienced advocate on your side. While many for-sale-by-owner (FSBO) properties exist on the market, many do not sell, and the ones that do often sell for below what they should sell for. FSBOs typically sell for less than the selling price of other homes; FSBO homes sold at a median of $200,000 last year (up from $190,000 the year prior), and significantly lower than the median of agent-assisted homes at $264,900. This means that homes listed by Realtors sold on average for nearly 33% more money than homes sold by owner! Why is this true? It’s simple. Real estate agents are experts in selling homes! Realtors have the education and experience needed to correctly price a listing, market it effectively, negotiate a contract, and overcome obstacles that can arise on the path to closing. Perhaps you’ve heard the story of the boilermaker? It’s a great illustration of how a seasoned expert can make all the difference in solving a problem, such as in listing and selling a home. A boilermaker was hired to fix a huge steamship boiler that was not working well. After hearing the engineer’s description of the problem, the boilermaker asked a few questions and proceeded to the boiler room. He looked at the labyrinth of pipes, listened to the sounds of the boiler and hissing of the steam, and then touched some of the pipes with his hands. Next, he reached into his toolbox, took out a hammer, and tapped one valve a few times. Instantly, the boiler system began working flawlessly, and the boilermaker left. Of course this is a silly little story, but the lesson is accurate. It’s just like anything else. Sure, you can fix your own car or write your own will, but doesn’t it make more sense to hire an experienced mechanic or a competent attorney? There are certain things that require a specific type of expertise, and selling real estate is surely one of those things. 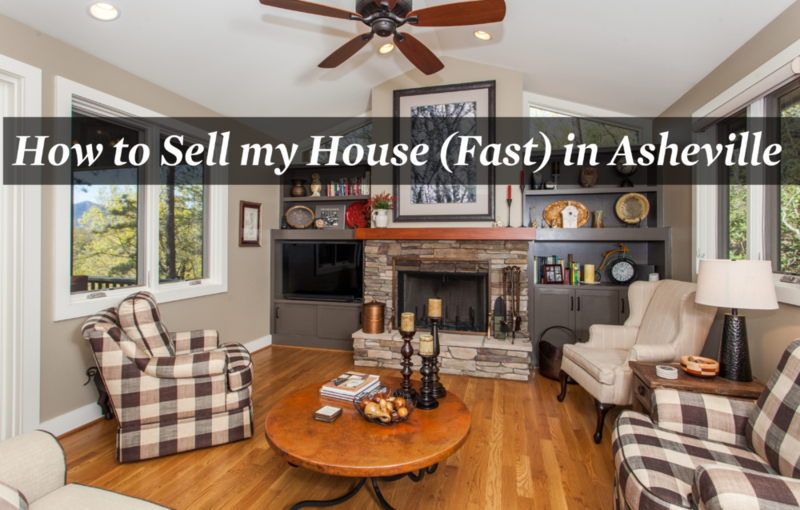 How to Sell my House (Fast) in Asheville (with a Listing Agent)? Walk through the home with a Realtor. Realtors are experienced in working with buyers, so they know what buyers will like and also what they will object to in your home. Spending some time identifying areas that should be improved before going on the market can make a huge difference when the house is finally ready for the market. Study the comparable sales. Every listing agent should offer an opinion your list price, and they should be able to back it up with comparable sales from the market. Some houses are harder to price correctly than others, but at the very least your agent should be able to recommend a range based on sold properties. Price it right from the start. This is so important. New listings can generate a lot of showings and even multiple offers with the first week or two if priced correctly. But overpricing the home can cool the market’s initial enthusiasm and cause your home to languish on the market until the price is corrected. And by then, many of your potential buyers may have found another home to buy. Get the house in show-ready condition. If your home is a fixer-upper and will be sold as-is, you may not need or want to spend much time getting it ready for sale. But if you have a home in good condition that just needs a few improvements to make sure it sells for the price you want, you should definitely do those things. Sometimes a home just needs some touch-up paint inside, new mulch in the flowerbeds, professionally cleaned carpets, and a weekend of de-cluttering to make it impress potential buyers. Provide great photography! Your home is your most valuable asset, so why would you sell it with dark or blurry photos? Even a $100 pair of shoes you buy online has been photographed by a professional. Why would your home be any different? At Freestone Properties, this is a no-brainer, and we hire a professional photographer for the homes we list for sale. For many houses, drone photography or a 3-D video of the home’s interior can also be beneficial. Provide lots of information about your home. You should never assume (and neither should your listing agent) that buyers (or buyers’ agents) will know everything they should about your home. Professionally prepared marketing material should be available at your home and in MLS. If your neighborhood has unique amenities or you’ve made lots of updates to your home, then a detailed list of these items should be shared with every buyer and buyer’s agent that inquires about your home. Market the home aggressively on multiple websites. MLS is a powerful tool, but there are a lot of other websites where buyers find homes, including Zillow, Realtor.com, and local real estate brokerage websites. Be sure your agent is experienced with these websites and knows how to make your home look great online! Make your home available for showings. This seems like a given, but many sellers put too many restrictions on when their home can be viewed. It can be an inconvenience to show your home when you live there or if you work from home. But buyers can (and should) be pre-qualified prior to a showing, so that the buyers that come to your home are serious about making a purchase. What to Do Before Contacting a Realtor? Let’s back up a step. Before you ever pick up the phone or send an email to a potential listing agent, it’s worth doing a little homework. The internet provides a wealth of data about real estate agents, and there are many online testimonials about listing agents. Zillow is the largest real estate website nationwide, and many agents have lots of reviews on Zillow. At Freestone Properties, we feature a lot of our clients’ past comments on our own website. 75% of sellers said that they would definitely (67 %) or probably (8%) recommend their agent for future services. So check in with your friends and neighbors to inquire about their own experiences with their agent. In most cases, people you know had a good experience with their listing agent and would love to tell you about it. Ask them what they liked, what they didn’t like, and if they would hire the same agent again. What Should I Look for When Hiring a Realtor? So now that you’ve done a little homework, you’re ready to start interviewing agents to put your home on the market. But how do you choose the right listing agent? It makes sense to hire an agent that not only has experience and a proven track record, but also one that you relate well to on a personal level. Experience in real estate means the listing broker is familiar with the market and the type of property being marketed. This experience will prove invaluable if a hurdle comes up, and one likely will at some point. A home inspection may reveal a significant defect, an appraisal might come in below the selling price, or a buyer might threaten to back out of the sale. All of these things can be overwhelming if the agent doesn’t know how to deal with them. Even the most experienced agents will run into things on occasion that they have never encountered before. These agents need to be creative in finding ways to overcome such obstacles. On the personal level, keep in mind that listing and selling a home takes a lot of effort, and it should be collaborative between the homeowners and the listing agent. Over the years, we’ve had the pleasure to work with some amazing sellers. We got along well and truly enjoyed working with each other. Many of these clients we now call our friends. These relationships made it a lot of fun to put together a strategy to sell the property, and when we had to figure out a solution to problems that arose, we were able to work through them effectively. Of course, there are situations that aren’t so blissful. Any Realtor that has been in the business for very long has had a few clients that they just didn’t mesh with. This may not have been anyone’s fault, but the chemistry just wasn’t there. When the sellers and the listing agent aren’t on the same page, the selling process will be stressful. So it’s important that the sellers and the agent are able to work together as a team. 75% of recent sellers contacted only one agent before finding the right agent they worked with to sell their home. And as mentioned before, these sellers were typically very satisfied with their choice, as they were likely to recommend their agent to friends and family. So the point is that you don’t need to spend a whole lot of time interviewing listing agents. Do a little research on the front end (including checking out reviews from previous clients), then meet with the agent to confirm your choice. Everyone knows you have to earn the right to be heard. But you also have to earn the right to hear. We hope you’ll consider speaking to us, and let us earn the right to hear your story. Contact us. Let’s meet in our office, at your property, at a local coffee shop, or even over a beer. What is the Average Real Estate Commission to Sell a House in Asheville? 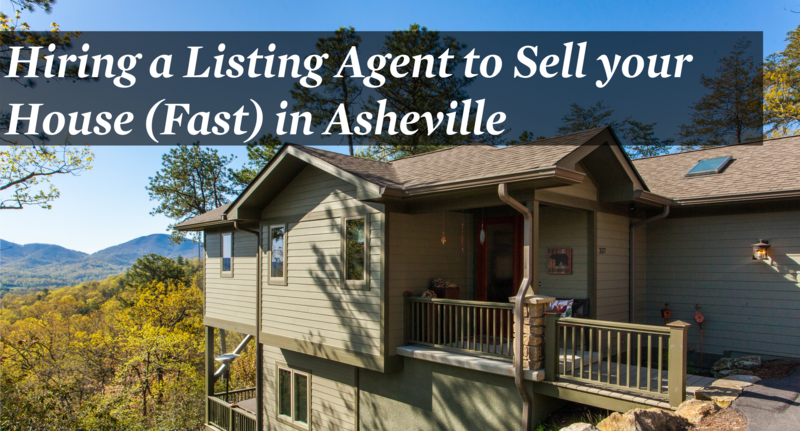 We often have potential clients ask us what the “going commission rate” is in Asheville. The short answer is there is no going rate, and to say otherwise would be price fixing and illegal. Real estate commissions are negotiable. Now, most firms do have a set commission policy, but this does not mean the entire Asheville real estate market adheres to one rate. That said, it’s important to remember that in almost every case, the commission for both agents (buyer’s agent and seller’s agent) is paid by the seller. So if a house is listed for 6% commission, and a cooperating firm represents the buyer, the listing agent and buyer’s agent will share in the commission. This is usually an equal split (3% per firm), but even that can be negotiated. 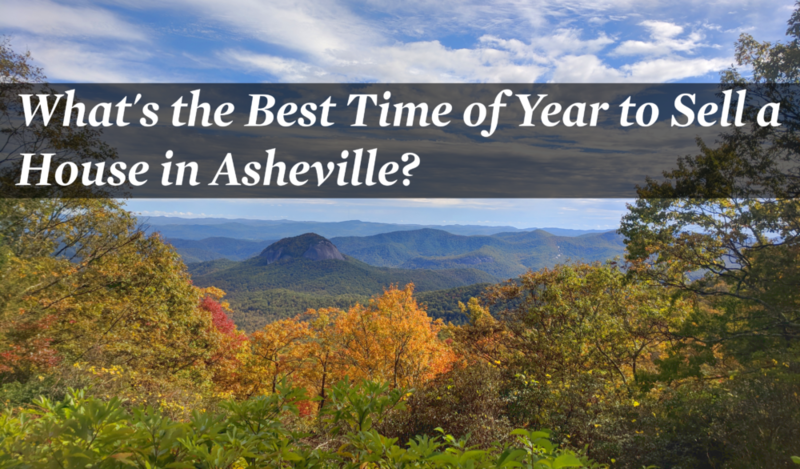 Best Time/Top Months to Sell a House in Asheville? The Asheville, NC real estate market has long been known as a market that has seasonal highs and lows (view our Asheville Real Estate Trends & Statistics page for more detail). But over the years, we’ve seen our market’s peaks and valleys become less pronounced. We still see busier times of the year, but what used to be the slow seasons are still pretty active. We still consider the summer to be the hot selling time, but we now see a good amount of sales volume all year round. However, many homeowners still assume they can only sell their home in the summer. Listing inventory is pretty low, but there is active demand among first-time home buyers and people that live and work in the Asheville area. So the more affordable price ranges still sell relatively quickly. 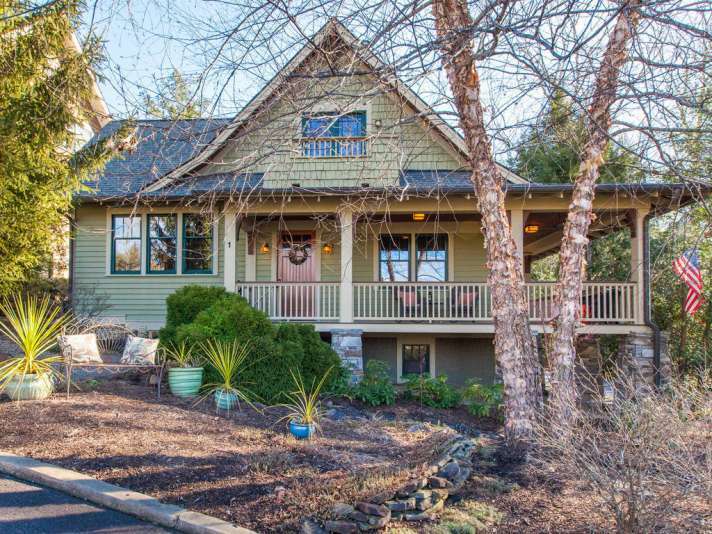 Areas that are very desirable for young homeowners, such as West Asheville, may still see a lot of multiple offer situations. We often see an uptick in land sales this time of year as well. This is sometimes because there are fewer homes to choose from, so buyers consider buying land and building a home. It’s also because land is easier to look at in the winter when the leaves are off the trees. This is also an opportunity for homeowners who may have struggled to sell their home during the previous summer and fall, as there is much less competition with other listings at this time. This is the listing season. Inventory will increase significantly during this time of year, as homeowners are getting their homes ready to sell. Many listings that hit the market earlier in the spring will be sold before the rest of the listing inventory ever comes on the market. If you’re considering selling in the spring, it might make sense to do so earlier in the spring to take advantage of the lack of competition. It’s go time! May is another busy month of listing properties for sale. By June, the floodgates have opened and the buyers are here. Schools are out in many parts of the country, Memorial Day is over, and people are here on summer vacation. This includes families and retirees. Retirees are a huge segment of our market, and they often drive the upper price segments. June is a prime time to be on the market if your property is priced for affluent buyers. As a general rule, much of our upper-end real estate is sold to second-home and retirement buyers. To prove this, consider that as of the day I wrote this article, the median house price in Buncombe County is $293,000 and the median household income in the county is $48,464. However, the average house price is $357,879. So there are wealthier buyers coming into the market from other areas and buying enough real estate to cause a significant jump between average and median price. Another large group of out-of-state buyers is the parents of children that go to the more than 100 summer camps in Western North Carolina. But keep in mind that these buyers start their property search online or with their buyer’s agent well before they come to town. If these buyers are visiting Asheville in June, they may start looking at homes online in March. So while listing a home in March might not generate immediate showings, it will mean that out-of-town (and even out-of-the-country) buyers can start gathering information about homes for sale that they’ll want to see when they come to Asheville. This is contract-to-closing season. Homes that went under contract are now going to closing. More homes are coming on the market, but not at the rate they came on the market in May and June. There is a lot of buyer activity in July, and this will continue until about mid-August when summer camps close and families get ready to go back to school. September brings a bit of a market lull. Summers are busy for most people, as they plan vacations and take trips. September brings a return to the normal routine of work and school. September also represents an opportunity for real estate buyers. Buyer activity has slowed down, but there are still homes on the market. Much of the existing inventory that did not sell during the busy summer selling season may now be poised for a price reduction. October is known as “leaf season,” and it’s another busy time for home buyers. If a homeowner didn’t list their home for sale during the summer, October represents a great opportunity to get it sold prior to the end of the year. And homes that have been on the market for a while might benefit from a price reduction prior to the “leafers” coming to town. Our market stays surprisingly busy through Thanksgiving and often into mid-December. This is mostly buyer activity, with not much new inventory coming on the market. This is yet another opportunity to list a home with minimal inventory to compete against. In a strong seller’s market, this is also an opportunity to price a home at the upper range of what it might be worth, especially in the lower price ranges. Buyers that want or need to buy now will have fewer options and will be more inclined to meet the seller’s terms. So there are different opportunities throughout the year for sellers to capitalize on high buyer activity or low listing competition. But when choosing the best time to sell a home in the Asheville market, it’s more important to consider your motivation for selling. If you’re ready to sell or you really need to sell quickly, then put your property on the market. While putting your property on the market in the slower times of the year may not result in an immediate sell, it is guaranteed that your home will not sell if it’s not even on the market. It’s simple supply and demand that tells us that the lower the home price, the more demand there will be. Homes in the Asheville area in the more affordable price ranges are purchased by first-time homebuyers, investors, and working families. The price ranges for higher end luxury homes in Asheville are obviously only affordable for wealthier buyers. But Asheville’s market is active in all price ranges, and our higher end inventory draws buyers from all over the world. So there is money being spent even in the highest price ranges. The key is to price the listing correctly at the outset (when it first goes on the market). So the best price to sell a house in Asheville is actually the correct price to sell a house. Listing agents who tell their clients that their home is worth more than it actually is are doing the seller no favors. This strategy may win the listing for the agent, but it will cause the home to languish on the market, become a stale listing, and eventually likely sell for less than it would have had it been listed at the right price from the beginning. As an aside, many homeowners make the mistake of accepting their list agent’s advice on a recommended listing price, but then adding to it to compensate for negotiating room and closing costs (including real estate commission). This is a flawed approach and will result in an overpriced listing. Remember, the comparable sales’ listing prices already had these factors included. A listing agent should recommend a listing price and also predict the likely sale price. The difference between these two prices is the negotiating room, and the sale price should already include closing costs. Which Real Estate Company Sells the Most? This is a common question that home sellers ask, but it’s not really relevant. When hiring an agent, you’re hiring one person. The listing agreement you sign will have the company’s name on it, but the only person at that firm that cares about your house selling is the agent that has the listing (and maybe the agent’s broker-in-charge). The larger firms have more agents, and so it stands to reason that the larger firms sell the most real estate. But larger firms tend to have a small percentage of top-producing agents, and then a plethora of part-timers or agents that just do a few sales per year for their friends or for their own real estate investments. Can a Boutique Agency Market my Home Effectively? There is also a misconception that larger firms have more marketing tools available to them to advertise your property for sale. This is simply not true. The interesting thing about most real estate marketing tools is that they are scalable. For example, if a large national franchise wanted to buy advertising space for 300 agents in a real estate magazine, it may cost them $50,000. But what if a smaller firm wanted to buy space in the same magazine for only 5 agents? They could certainly do it, and it may only cost $1000. That’s slightly more expensive per agent, but it’s still affordable. And keep in mind that the absolute most powerful marketing tool is the MLS (Multiple Listing Service). Every agent at every firm in Asheville has access to Asheville MLS, and we all pay the same to access it. 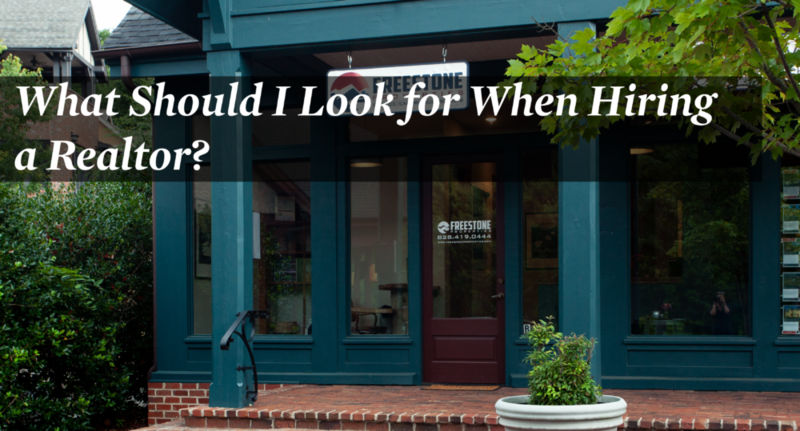 So instead of asking which firm sells the most real estate, a more relevant question might be “What will my listing agent do to sell my home?” When we list a home for sale at Freestone Properties, we prefer to customize our approach. Each property is different, and there are different features of the home that need to be highlighted. Marketing strategies can also change depending on the likely buyer (investors vs. luxury home buyers, for example). What Kind of Support does my Listing Agent Have? One of the goals I had when my wife and I started Freestone Properties was to ensure that our agents never felt like they were on an island. This causes anxiety and stress for the agent, and it robs the client of diverse ideas that exist in an office where multiple agents work together closely. And it also leaves the client in a potentially vulnerable position. What happens to the client if an urgent need comes up while their listing agent is out sick or on a much-needed vacation? This is why we have in-house administrative support for our agents, including a broker-in-charge that is readily accessible and often involved with the listing in a hands-on manner. Even the layout of our office ensures that we are consistently bouncing ideas off each other and discussing the obstacles that come up in our transactions. Collectively, we’ve closed hundreds of transactions over the years, so there’s a good chance that any hurdle that comes up is something we’ve overcome before. This means we can find answers quickly to help our clients. The support system for your listing agent is something you may never actually see first-hand, but it can make all the difference in selling your home. What to Do if you Can’t Sell Your House? If you’ve tried to sell your home yourself and haven’t been successful, it’s time to speak with a Realtor. But if you’ve been on the market with a Realtor and the home still hasn’t sold, it’s smart to look back at what has transpired during the listing period. Any good listing agent should be constantly following up with agents that have shown your home to ask questions about any feedback that was provided by the buyers. If there are consistent comments about deterrents that could be overcome, then it’s likely a good strategy to take steps to remove those obstacle. This could be cleaning up the landscaping, installing new carpet, or re-painting. It could also mean adjusting the price. There may be other situations that can’t be addressed, such as nearby interstate noise or an unusual floor plan. In this case, it may be a matter of lowering the price to attract more buyers or trying another strategy until the right buyer comes along. But if your agent isn’t able or willing to adjust the strategy to sell your house, maybe it’s time to consider a different agent. Can I use two Realtors to Sell my House? In the Asheville real estate market, most real estate listing contracts are “Exclusive Right to Sell Listing Agreements.” This means only one agent will act as the listing agent. But this same agreement gives the listing agent permission to cooperate with other Realtors, so there’s a very good likelihood that another real estate agent will represent the buyer. So actually, in most cases two Realtors will be selling your house. Right now, there are nearly 2000 Realtors in the Asheville area (as members of Land of the Sky Association of Realtors). And many Realtors from other boards (such as the McDowell Board of Realtors, Haywood County Board of Realtors, and Hendersonville Board of Realtors) represent buyers in the Asheville market. In times of lower inventory, buyers expand their search area, and we’ve had numerous agents from other boards represent the buyer on our listings. What’s the Next Step to Put my House on the Market? If you’re considering listing your property for sale, you probably have a lot of questions about the state of the market, how to price your home, and how we might market your property. We would love nothing more than to answer your questions so you can make an informed decision. Contact us to get started. We look forward to working with you! "Melanie and Scott, Vreni and I would like to express our deep gratitude to both of you for all the hard work you did in selling our property on Meeks Road.... continued"